Now we have finally gotten as far as your arms. 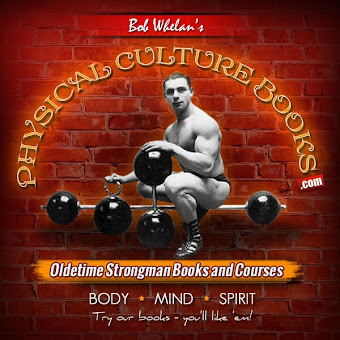 If I had started out by telling you how to develop your upper-arm muscles, some of you would never have gone beyond that chapter, because the average physical culturist is firmly convinced that great strength depends entirely on the size and strength of the upper arms. Such arm exercises as have been given so far were incidental to the development of the shoulders and back. When you push barbells, dumbbells or kettle-bells aloft, as in Figs. 51, 52, and 53, you are doing the best possible exercise for developing the outer head of the triceps muscle. When you lift a kettle-bell, as in Fig. 49, you are developing the inner side of the arm, which is another part of the triceps muscle. To develop your biceps muscles, all you have to do is to take a bar-bell in your hands, palms forward, and slowly raise that bell by bending your arms at the elbows, until the bell is in position Fig. 72. the exercise will be easier if you keep your hands a little farther apart than the breadth of your shoulders. Another helpful thing is to bend the wrists and lift the palms of the hands before you start to bend the arms at the elbows. 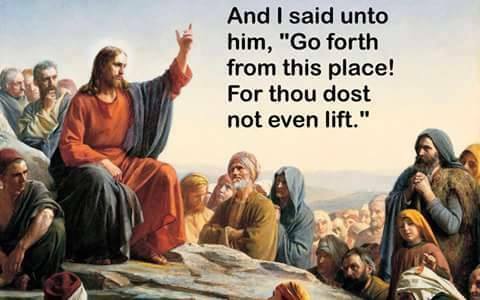 If you are small and light, 30 lbs. is enough to begin with; if you weigh 200 lbs. you can start with 60 or 65 lbs. after you can repeat the curling motion several times in succession without much exertion, add 5 or 10 pounds to the weight of the bell. After the weight has been increased, you will be able to curl only two or three times; but after a few days' practice you can repeat as many times as you did with the lighter weight, and then you must make another weight increase and proceed as before. When the bell is held with the palms in front, or what we call "the under-grip," the biceps muscle can exert more power than if you hold the palms down (the overgrip). That is because the forearm muscles, which bring the palm towards the forearm, are stronger than the muscles which bring the back of the hand towards the forearm. If you have ever practiced chinning the bar, you have undoubtedly found that you can chin twice as often with the palms towards you as with the palms of the hands away from you. In curling a bar-bell you will raise anywhere from 50 to 75 per cent more by the under-grip than by the over-grip. The biceps muscle, which bends the arm, is only about two-thirds as large and as strong as the triceps muscle, which straightens the arm. A well-developed man who can make a two-arm curl (under-grip) with 100 lbs., should be able to make a two-arm press with 140 or 150 lbs. (The two-arm press is nothing more nor less than the shoulder exercise illustrated in Fig. 51.) Curling a barbell with both hands, or a dumbbell with one hand, will give you big biceps muscles; but the curling should be used only as an exercise, and not as a feat of strength. In European competitions I have never known "curling" weights to be included in a program of competitive lifts; although it sometimes appears on the list of English lifts. 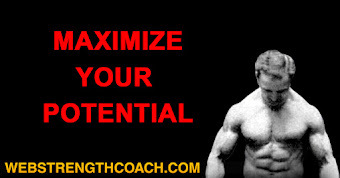 The biceps muscle is not nearly as important as you think it is. The amount of weight you can lift by a contraction of the biceps is paltry compared to the amount of weight you can lift by the strength of one leg, or by the contraction of even one of the muscles on your upper back. 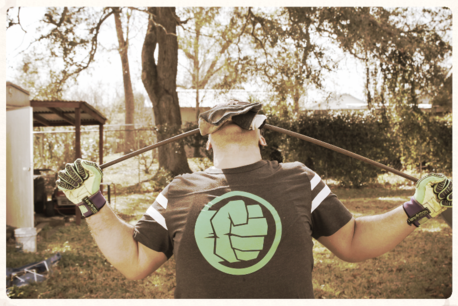 If you practice with a bar-bell you will be surprised to see how quickly you reach your limit in "curling" barbells. Your record in pressing a bar-bell to arms' length overhead will always be far better than your record in "curling" a bar-bell. 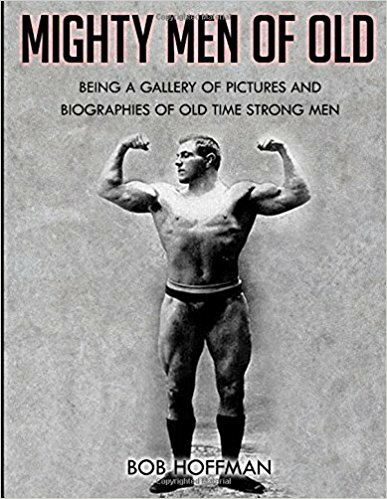 Although I have seen many middle-sized men take a 200-lb. 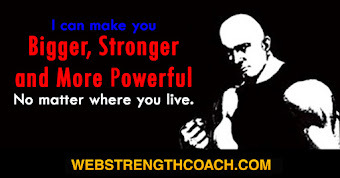 bar-bell in both hands and press it slowly to arms' length above the head, I have never yet seen a man perform a two-arm curl with a bell of that weight I have seen lifters curl 100 lbs. with one arm, but they first placed the bell on the ground, and when they leaned over and took hold of the bell, they already had the arm slightly bent at the elbow, and as they straightened the legs it would give the bell a little bit of a start. The proper way to do a one-arm curl is to stand erect, with the bell in one hand and that arm hanging limp at the side. Then you can move the arm slightly forward, twist the bell so that your palm is front; and then, with the hand in the under-grip position, slowly bend the arm until you have lifted the bell to in front of the shoulder. While bending the arm, you should not lean back at the waist. Your body should be upright at all times. I have never seen 100 lbs. curled with one arm. There are, undoubtedly, men who can do this, but I have never happened to see one of them do it. I believe that Henry Steinborn, or either Joe or Adolph Nordquest could curl 100 lbs. with one hand, although I never heard any of them say that they have done so. I remember that Warren Travis once told me that he saw Horace Barre do a one-arm curl three times in succession, with a 100-lb. dumbbell. Furthermore, he said that Barre did not bother to rotate his arm and use the undergrip, but held the hand sideways, as in Fig. 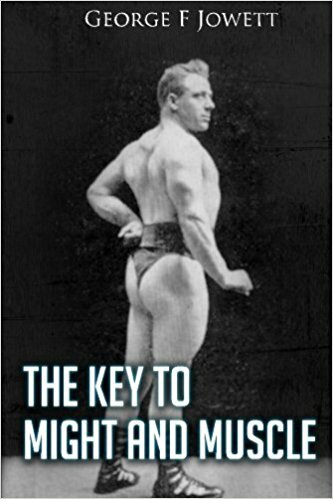 73. if Barre had used the undergrip at the start of the curl, he would undoubtedly have curled 125 lbs. at least once; but then Barre weighed close to 300 lbs. himself, and it is not much of a trick to do a "one-arm curl" with a bell half your own weight. 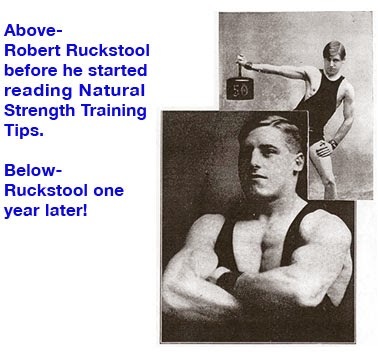 I saw Henry Steinborn do a two-arm curl five or six times in succession, with a bar-bell that weighed 173 lbs. (as in Fig. 130). It did not seem to be the least trouble to him. He was about to pose for some pictures, and he used the bar-bell for a few minutes to get his muscles flushed with blood so that they would be bigger and show up better in the photographs. 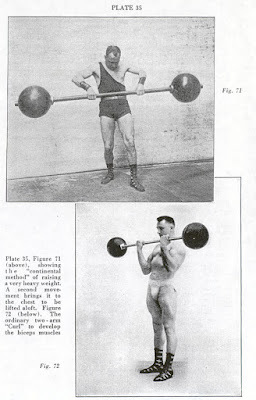 Charles Herold, who weighed less than 160 lbs., could do a one-arm curl properly with 90 lbs., but when he curled 100 lbs. he would start the curl from the floor with his arm slightly bent. On one occasion Herold stood between two dumbbells, each of which weighed 103 lbs. He leaned over, curled one bell with the right hand in the style described, and then did a military press with the bell at arm's length above his head. He leaned over again, curled the other bell with his left hand, and slowly pushed it up alongside of the first bell. Each movement was either a slow curl or a slow military press. 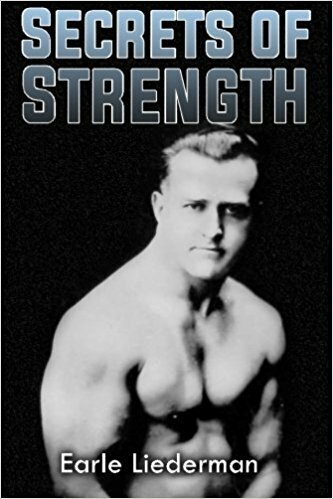 In a recent article in Strength, Mr. Jowett made a statement that Louis Cyr once did a one-arm curl with a dumbbell weighing 238 lbs. I can believe most of the stories at Cyr, but with all due respect to Mr. Jowett, I can't believe that one. Cyr did a one-arm press with 273 lbs., and my friend, George Zottman, pressed 264 in almost exactly the same style that Cyr used. Zottman admits that he cannot do a correct one-arm curl with 100 lbs., and I doubt whether Cyr, who weighed 100 lbs. more than Zottman, could have done a one-arm curl with more than 165 lbs. at the outside. In a later chapter, I will show you how the size of the biceps is affected by the size of the forearm.